Mr. McMorrow has considerable experience in the area of Family Law. During Law School, he clerked at a private firm and for Santa Clara Commissioner Edward Mills. He also interned and volunteered with Legal Advocates for Children & Youth and the Harriett Buhai Center for Family Law. Mr. McMorrow’s diverse background practicing various aspects of Family Law in different states and districts gives him an expansive knowledge base that he can apply in any matter. Since joining the firm in 2014, he has been active in a variety of cases with the firm, including dissolution of marriage and paternity actions, child custody and support, spousal support, property valuation and division of property, dissolution of domestic partnerships, preparation of premarital and post-marital agreements. Mr. McMorrow was recently named as a 2017 Super Lawyers Rising Star. 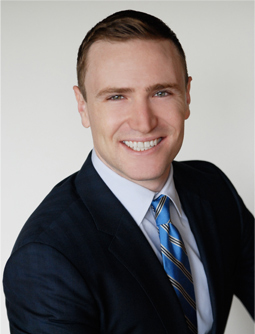 Mr. McMorrow is an active volunteer and member of the Harriett Buhai Center for Family Law Alumni Leadership Council and is currently serving as President-Elect of the Barristers section of the Beverly Hills Bar Association.